The French Open—also referred to as simply “Roland Garros”—is the second Grand Slam tennis event to take place during the tennis calendar year. The event happens in Paris, France, and is the only Grand Slam event to be played on a clay court. 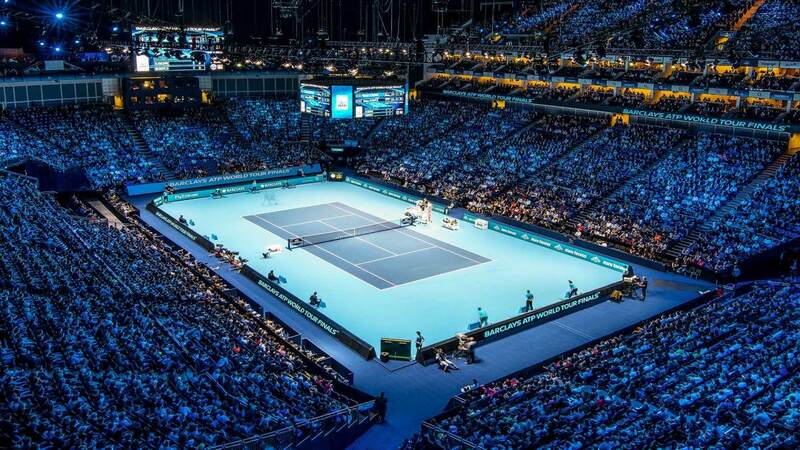 This article contains some useful information in easy-to-swallow chunks that can convert you from a tennis-knowledge novice to a French Open aficionado in no time. 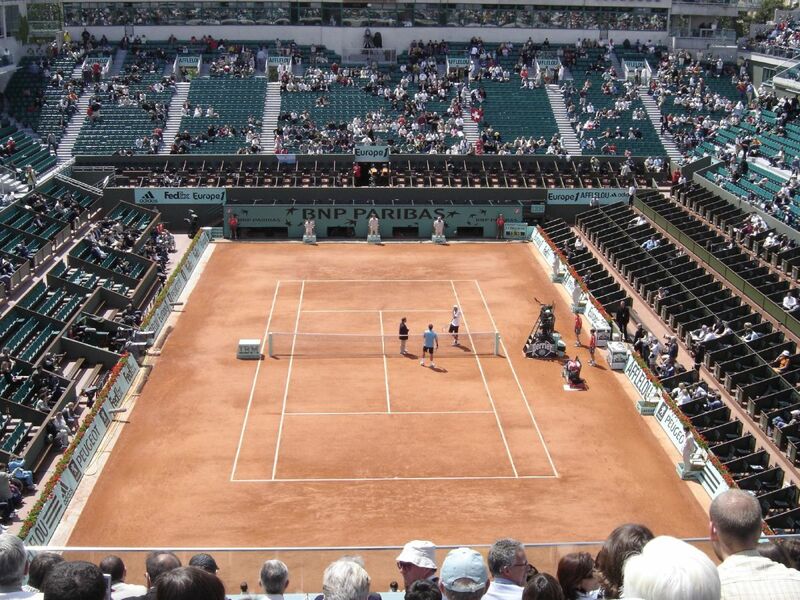 Now, let’s get into France's premier clay-court tennis event. A quick overview of France's clay court major. Each of the four Grand Slams takes place on a different surface and in a different location, giving each a unique feel that sets it apart from the others. Roland Garros is one of four tennis tournaments that are referred to as Grand Slams (formerly Majors). These four Grand Slams are considered the pinnacle of the professional tennis world, with relatively few players being able to boast a Grand Slam title on their resume. The status of these tournaments is reflected in the prize money and ranking points awarded. The 2,000 points granted to the winner of the French Open is double that of the biggest non-Grand Slam events in the regular tour (not counting the World Tour Finals). Of the four Grand Slams, Roland Garros is the only slam to be played on clay, a significant factor as the playing surface is dramatically different when compared to hard and grass courts. This has led to a situation where players can be dominant in the other three slams, yet miss out on the French Open. This has been the case twice in recent times, with Roger Federer and Novak Djokovic going through periods where they seem almost unstoppable on hard and grass courts, yet only managing a single win at Roland Garros. Conversely, players like Rafael Nadal have far more success at the French Open than the other Slams. The French Open’s alternative name, “Roland Garros” stems from the name of the stadium in which the tournament takes place. That stadium, in turn, is named after French World War I pilot, Roland Garros. The official names of the tournament in its native French are "Internationaux de France de Tennis" and "Tournoi de Roland-Garros". The French Open takes place at the end of May through to early June and marks the end of the “clay court season”; a period during which a number of European clay court tournaments are held. 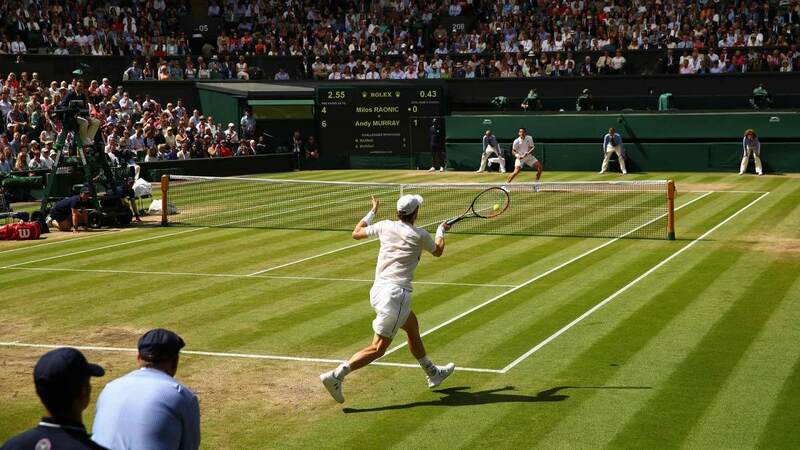 Clay is a much slower playing surface than the alternatives, a factor that leads to generally longer matches and more physically intense battles. That added to the best of five sets nature of Grand Slams (regular tournaments are best of three) makes the French Open potentially the most physically gruelling tournament on the tour. It also lends itself to certain styles of play more, with baseline rallies and drop shots being more prevalent than in non-clay court tournaments. A tale of two tournaments; how Roland Garros came to be. The French Championships were played at different locations throughout its run. The World Hard Court Championships mostly took place at the Stade Français in Saint-Cloud, with the exception of 1922 when the tournament was held in Brussels, Belgium. The French Open is unique among the Grand Slams in that it has origins in two different tournaments. The first was known (in English) as the French Championships, first taking place in 1891 and only open to members of certain French clubs. Unlike the other Grand Slams, it wouldn’t be long before women’s singles competition was added to the tournament, an addition that came about in 1897. The tournament remained open only to French club members until 1924. Another tournament that is widely considered a precursor to the modern French Open, however, is the World Hard Court Championships. Unlike the French Championships, this tournament was open to international competitors. It was held sporadically throughout the early 1900s, interrupted by World War I and the 1924 Olympic Games in Paris. In 1925, the French Championships opened up to international amateur tennis players and was granted status as a major tennis championship. 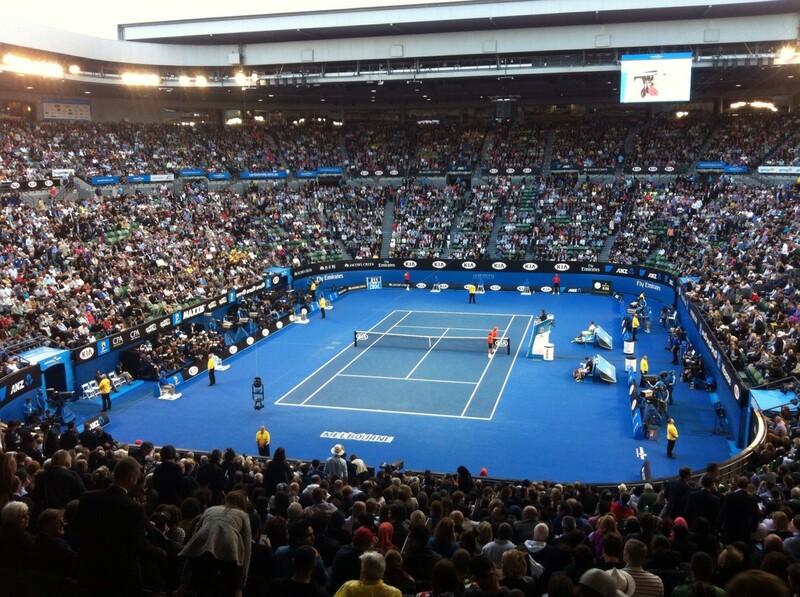 In addition to these changes, it also moved to the previous home of the World Hard Court Championships. In 1928, the French Open would move again to the newly opened Roland Garros stadium, where it has remained since. 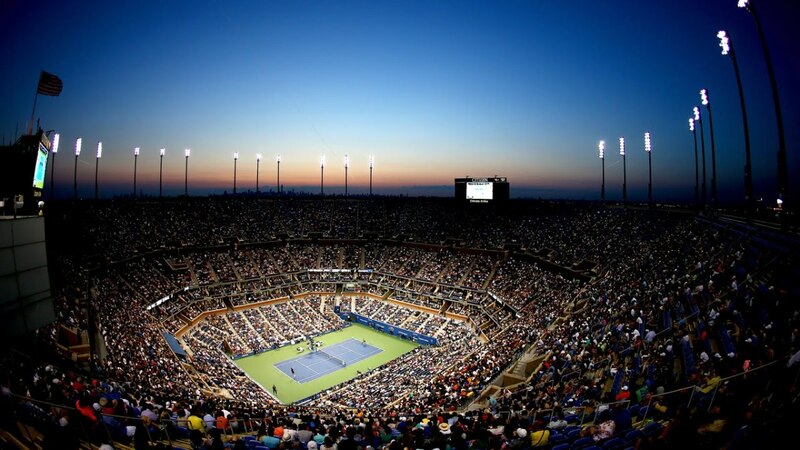 In 1968, the tournament became the first major to allow professional tennis players to enter, thus ushering in the start of the Open Era of tennis. This is also the year where it became known as the French Open. Fun facts and interesting titbits. During World II, the French Open still took place between 1941 and 1945, however, these tournaments are not officially recognised by the French governing body of tennis. 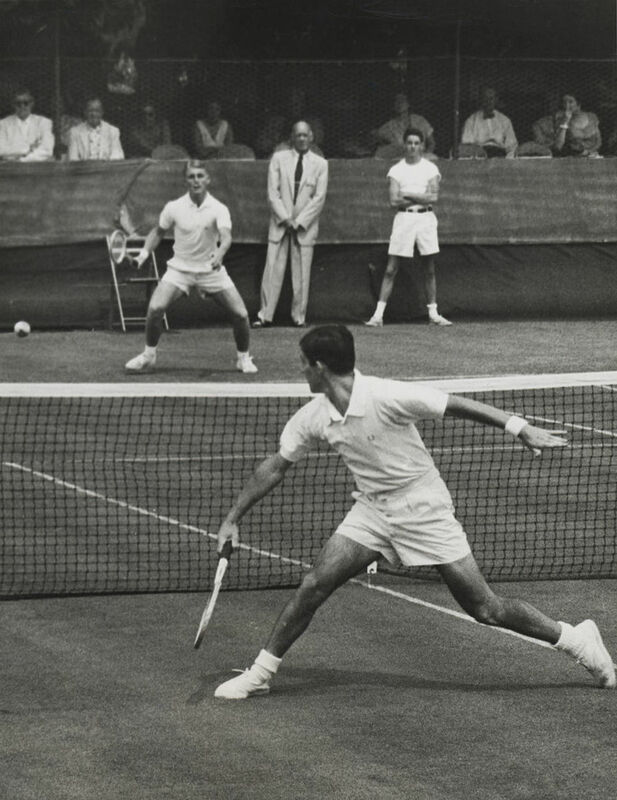 In 1946 and 1947, the tournament was moved so that it took place after Wimbledon rather than before it. This meant that, briefly, the French Open was the third major of the year rather than the second. From 1930 the “French Pro” tournament was held alongside the French Championships. Unlike the amateur-only French Championships, however, the French Pro allowed professional players to enter. This tournament came to an end in 1968 when the French Championships became open. In that year, both a French Pro and a French Open tournament was held. Both tournaments ended in all-Australian finals, with Ken Rosewall winning the French Open, and Rod Laver taking the French Pro. In 1953, the French Pro tournament was played on an indoor wooden court, though it is unclear whether or not this tournament is counted as an official French Pro. 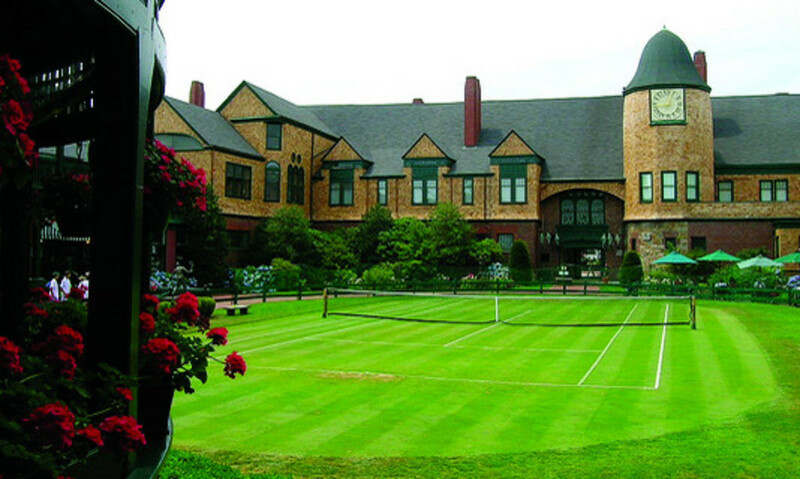 During the 1960s, Australian players dominated the clay courts of France in both the pro and amateur brackets. Australian players took all eight French Pro titles that took place between 1960 and the final tournament in 1968, as well as seven out of ten French Championships/French Open titles. Such was the Australian’s command of the French majors that of the aforementioned matches, six French Pro and five French Championship/French Open finals featured all-Australian finalists. 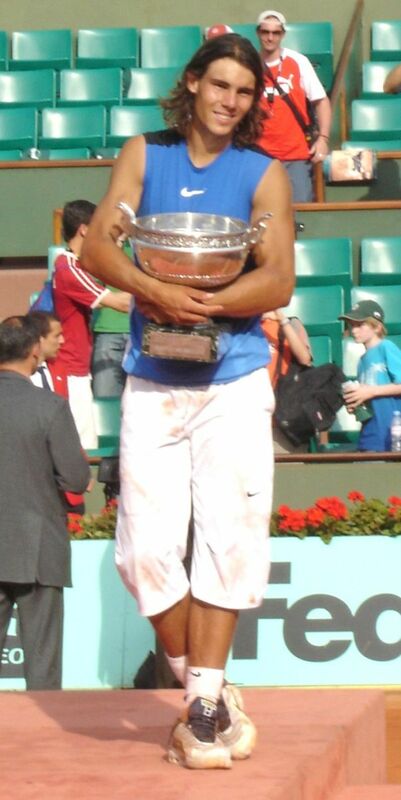 “Greatest of all Time” contender, Rafael Nadal, holds the current record for most French Open titles. 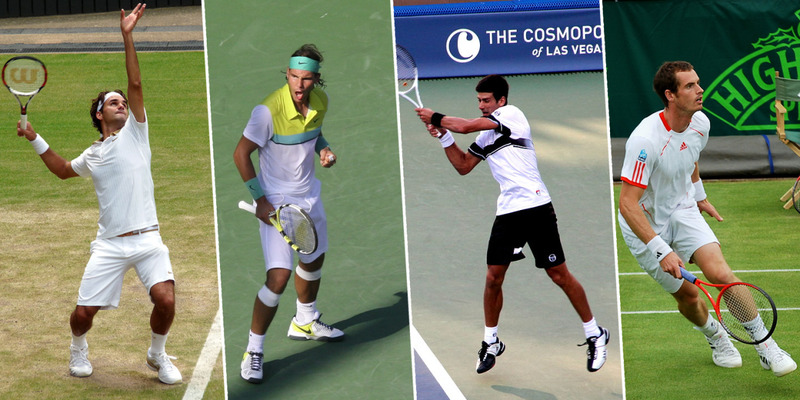 Between 2005 and 2014, Nadal has taken the title an astounding nine times. In 2009 the title was taken by Roger Federer, and in 2015 it was won by Stan Wawrinka, meaning that between 2005 and 2014, only Swiss players were able to get a look in on Nadal’s dominance. The youngest player to win the men’s singles was Michael Chang at the tender age of 17 years and 3 months. On the women’s side, Monica Seles took the title at an even younger 16 years and 6 months! The dramatic differences in playing style that the clay courts of the French Open favour have led to many great players failing to win the coveted Slam. Players such as John McEnroe, Venus Williams, Stefan Edberg, and Jimmy Connors have all won multiple Grand Slams but not managed to take home the French. Most notable, however, is Pete Sampras. A strong contender in “Greatest of all Times” discussions, Sampras held the former record for most Grand Slam titles (14) but was never able to capture the French Open. The French is my favorite of the Grand Slams. Really get your money's worth. Diverse group of players. Long points. Beautiful setting.